Since the 1st of July 2016 Edinburgh District Council ceased to maintain stair lighting in communal areas within private properties. This moves the onus of responsibility onto the owners who now find they have a legal duty of care for repair and maintenance ensuring the stair lighting is operational. AEW can complete a free survey report of your communal stair that includes fixed cost options and system condition . With no costly tied into weekly maintenance contract. Also included below is information help sheets you can print off so that you can liaise and coordinate the work with your fellow residents. As from 1st of June 2018 light fitting repairs and broken shade replacemt will now be free of charge on a relamp of the stair. So, no extra repair cost surprises just a guaranteed fixed price for peace of mind. To get a free survey condition report click here and complete the contact form with your details and address and I will do the rest. When living in a property with communal stair lighting then there are 2 ways you can maintain them. The stair could agree to instruct a Factor to manage and maintain the lighting. If this is the case you need to ask what systems they have in place to ensure repairs are completed without compromising safety and security for the residents. It can be more cost effective and prudent to form a residents or owners association. If you already have one, then that’s a great start. But if not, then now is the time to do it and the best way is to appoint a trustee who will organise the communal stair lighting. This can work out cheaper than paying a management fee for a Factor or a maintenance contract, but best get quotes to compare costs. Also, if you are one of the owners who is organising the repairs, then you may find these information sheets created by AEW a help. Click here for the Residents stair lighting sign off form. Click here for EDC advise on shared repairs and maintenance. How easy is it to form a residents association ? It helps if everybody gets along and in this electronic age its a lot easier to organise jobs and keep residents informed by email. I have completed work for a few associations where residents pay a small amount into a maintenance fund bank account every month. Click here to get more information from the Scottish government on how to achieve this. Q. What if all of my stair lights are not working can I still get a free survey report ? A. Yes but if you need me to get them back on as a temporary measure then if I can a service charge will be payable 2 calendar months after the visit. Although this charge will be waived if any part of the survey quote is accepted. Q. Can I replace the lamps myself ? A. On the grounds of safety this is not advisable and be aware, getting access to some lights can be challenging as some are continually on or live in some areas. The majority are fitted with anti tamper screws that can prevent the general public gaining access. Also, it is not as easy as say changing the bulbs or tubes. Check any insurance you have to make sure you are covered in case there is a problem. Click this link for advice from Edinburgh District Council on this subject. Q. What is the most cost effective way to maintain these lights ? A. Fluorescent lamps have a tight manufacturers tolerance with regards to lifespan . This means they will start to fail around the same time. So it pays to relamp the whole stair. Q. Why not just change lamps as and when required. A. This can be more expensive in the long run. Plus all fluorescent lamps fade through time. Because there can be a big difference in light output after a relamp and clean. Q. How do I know when they need changed. ? A. When you see 2-3 tubes fail, that’s the time to start organising a relamp before the lighting is compromised. Q. Are all tubes the same. A. Not really they vary in colour and lifespan . Plus AEW only uses long life lamps meaning, extended periods between relamping. Q. Is converting LED lights and option ? A. Yes, but remember the cost is initially higher, but in the long run. 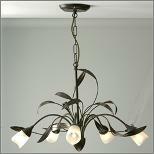 There is less maintenance with regards changing lamps/tubes and LED,s so come on instantly and do not fade. The light output is also higher plus you are not having to organise a relamp every couple of years. Q. Do these lights have a life expectancy ? A. There is two parts to this one is if you have a metered supply then it would be cost effective as you would have less maintenance and save up to 50-60% of electricity cost. The other thing to consider the majority of stairs have a un-metered supply that Edinburgh District Council pay via your council tax then just like the maintenance of these lights they may in the future move these costs over to the property owner. Q. Why is Edinburgh District Council converting their properties to LED lighting. A. 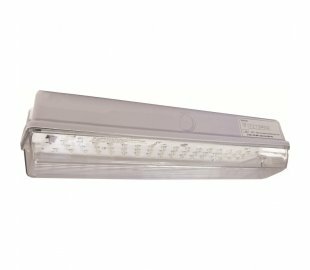 The existing lights are 30-40 years old and are coming to the end of their service life plus LED lights are cheaper to run and maintain. Q. Can you use any LED light. A. EDC has a specification for the LED replacements and although they are not forthcoming by insisting you use their spec as a result it makes good sense to do so. Q. What controls my stair lighting. A. An Astro stair timer clock set up for Edinburgh’s dawn till dusk times . 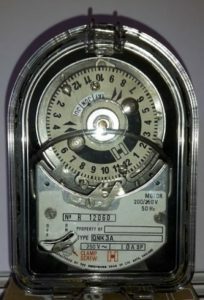 There are a lot of the old electro/mechanical models that are coming to the end of their service life plus see my blog on this for more information. In addition, check your lights are working to the correct times click Here for Edinburgh’s sunset till sunrise times and remember there may be a variation if your clock time and date is out of sync. Q. Why follow Edinburgh District Councils stair lighting specification. A. EDC ensured the replacement led light fitting would improve the lighting in the stair . So, if convert to LED then its good policy that the same lighting levels are used . 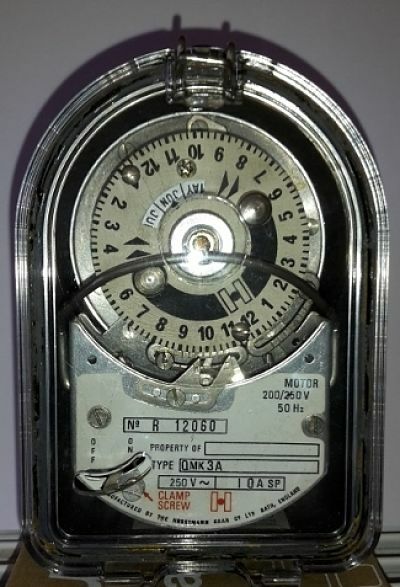 Also with any major alterations they could insist on a meter being fitted transferring the cost to the residents and the hassle of managing it. Q. Can you use a normal time clock . A. No the clock has to shadow Edinburgh’s sunset and sunrise times to comply with EDC switching specification. Q. What type of astro clock is used. A. 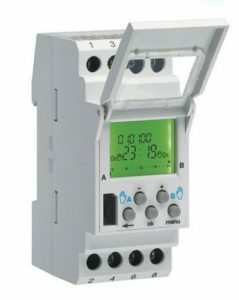 There are two types, single and twin circuit systems also both require different types of astro clock that are programmed to comply with the EDC switching specification. Q. How do I know if my astro clock is working ok.
A. Click here to get a copy of Edinburgh astro times. Edinburgh District Council puts an offset in some of the digital clocks. This makes your lights come on earlier and switch off later than the times on the table. Due to lights coming on later or going off earlier may need the Astro clock checked.